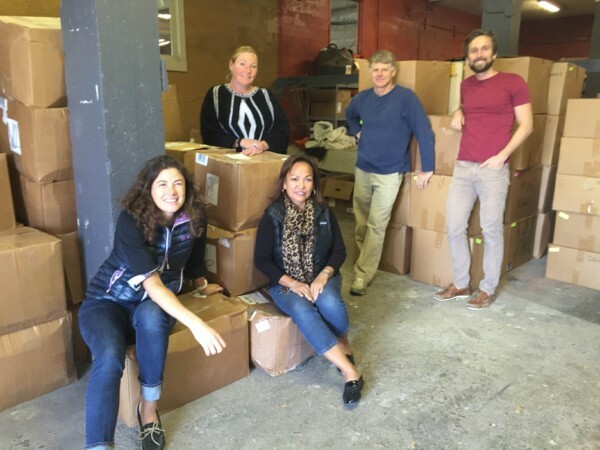 The Renewal Workshop partners with the world’s best-loved apparel brands and retailers to refurbish their “unsellable” returns and excess inventory. In its own factory, The Renewal Workshop gives each garment new life as Renewed Apparel through their proprietary process. Renewed Apparel is then either sold back to the brand partner to be sold through existing sales channels, or is sold direct-to-consumer through The Renewal Workshop’s own ecommerce marketplace, launching in Fall 2016. Every year, apparel brands and retailers collect millions of unsellable garments via returns, warranty, damages, defects, over-production and stale inventory. Currently there is no infrastructure to support the refurbishment of these products and brands are left with suboptimal solutions, such as overseas donation or landfill. Founded by two apparel industry veterans, Nicole Bassett and Jeff Denby, The Renewal Workshop provides a new business model to turn this unsellable product back into high quality apparel. Today, The Renewal Workshop is proud to announce its founding partners: prAna, Ibex, Mountain Khakis, Toad&Co, and Indigenous. Additional pioneering brands will be added in the coming months. “The Renewal Workshop opens a door for the apparel industry that never existed before and redefines how the whole industry deals with its waste,” says Jen Taylor, VP of marketing for Mountain Khakis. In its factory, The Renewal Workshop cleans the apparel to a hospital grade clean using state-of-the-art waterless cleaning technology from Tersus Solutions. Any damage to the clothing — from broken zippers to missing buttons to tears — are repaired, creating Renewed Apparel that meets the highest standard of quality certified by the brands. For any product that can’t be renewed, The Renewal Workshop responsibly manages the upcycling, downcycling, recycling or donation of it in order to optimize the resources already invested. Nothing ever goes to landfill. Co-Founder Nicole Bassett spent years working on product supply chain sustainability only to wonder where all that apparel goes when we’re done with it. “By building a factory here in America, we are able to provide the infrastructure that allows apparel brands to rethink what was once a waste problem. Our partners are the first in the industry to become closed-loop brands leading the circular economy,” says Bassett. About The Renewal Workshop — The Renewal Workshop develops industry-wide solutions that optimize the value of resources already invested in apparel. The Renewal Workshop partners with the world’s best-loved brands and retailers to renew their “unsellable” returns and excess inventory. In the facility in Cascade Locks, Oregon, products are sorted, cleaned, and repaired, giving each garment new life as Renewed Apparel. The Renewed Apparel is then either sold through the original brands sales channels, or we sell the product through our own website launching Fall 2016. We’re the certified renewal partner of the brand and our brand in the garment acts as a seal of trust and quality. For any product that can’t be renewed, we responsibly manage the upcycling, downcycling, or recycling of it in order to optimize the resources already invested in them. For continued updates and to be the first to know when sales of Renewed Apparel start, visit www.therenewalworkshop.com. Hi. Very interesting article but it’s hard to find thegorgebusinessnews.com in search results.